10 reasons why “Asus Zenfone 2” should be in your wishlist! Being a lifestyle blogger who’s always on the go, I need a smartphone that is not only super functional but acts as a defining part of my psyche. Here are 10 Reasons why ASUS ZenFone 2 is on my wish list and should be on yours too! 1. Having used 3 smartphones till date, I have felt their constraints pretty badly especially when it came to memory and accessibility. 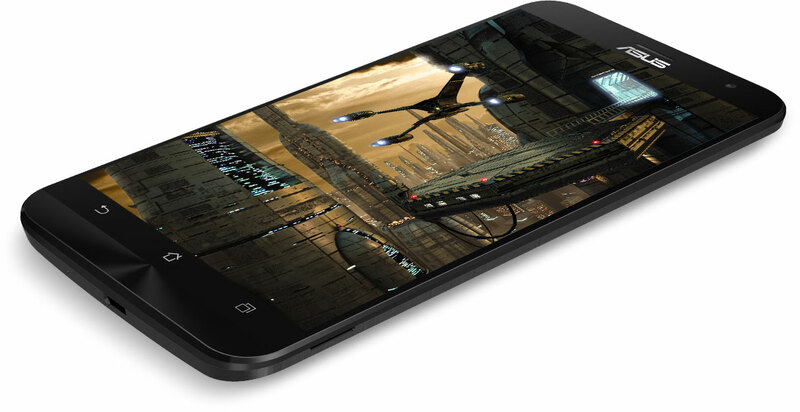 According to the ASUS website, their new phone is the world’s 1st smartphone with 4 GB RAM. Whoa!! Also equipped with a 64-bit Intel Atom Z3580 processor, it claims to be seven times faster than its own predecessor, the ZenFone. I am completely won over with its projected functionality and, oh, the smooth multi-tasking experience that it promises! 2. Another factor that I take in to consideration while picking up a smartphone is its battery life. I can’t be stumped in the middle of an assignment or a project where time is of the essence because my phone’s battery is critically low and I don’t have an access to a charger. Lately, I have to carry the charger as an unnecessary, excess baggage. Furthermore, I would have to spend several hours with the device plugged in and charging away at a snail’s pace. This brings down my productivity to a great extent and I can’t help fuming and frothing over it. Luckily from the description of the new ZenFone 2, it turns out I might not have this stumbling problem after all. According to ASUS, “The device supports ASUS-exclusive technology that charges devices much faster than traditional speeds. With ZenFone 2, this means your battery is juiced up to 60% in no more than 39 minutes.” That is pretty awesome. 3. Another part of being a lifestyle blogger is the fact that I need high quality pictures. I don’t like to depend on a dozen camera apps just to get a decent shot or having to keep my digital camera close to me all the time as if my life depended on it. 5. Multitasking is the name of the game: From a 13 megapixel camera with a lot of in-built features and editing software and a GIF animation feature to the front camera is loaded with instant-beautification features. From gaming to streaming videos, to uploading to Instagram, the phone has a wide range of functionality. The 64 bit processor has been found to be great in terms of graphics. 6. It’s great to have a customable user interface. Asus Zenfone 2 runs on Android v5.0 Lollipop and the icon packs in Google Play store may not be compatible with the Lollipop. The theme application in the new Asus Zenfone 2 lets you alter icons or colours based on your mood. 7.Asus Zenfone 2 supports a large collection of LTE bands and you are good to go at a lot of places around the world. So, you don’t have to worry about your work or keeping in up with social media while on the move. 8. With a 4GB RAM and a 64GB of storage, I don’t have to move around my stuff to back up in the middle of the week. It provides an ample window to get on with organisational tasks once a week or at the end of the month. 9. For work and for play! The built in Snapview feature allows the user to segregate the profiles for business and personal data that is completely secure. To add to the all over experience, there is an easy mode and one-handed mode to simplify and ease usage. The Asus Zenfone 2 has a lot of seriously great features for the mid -segment price it is associated with. Check it out! Previous Post: What it takes to relocate to Sikkim, my favourite travel destination! Next Post: Is a travel insurance really important? I haven’t tried HTC yet. But you can take a look at these 2 articles and base your further research and final decision. You can check out the Zenfone 2 from retailers like Flipkart, in case you are interested!